Huguette Clark was raised in the most expensive home in America, inherited a fortune at age 18 and lived be 104, but because she shunned publicity for most of her adult life, little was known about her. 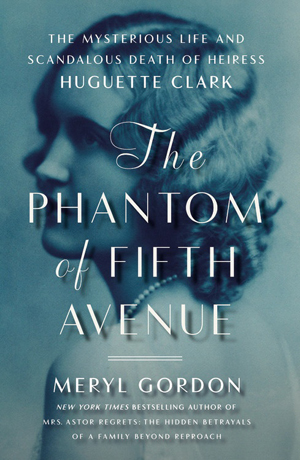 Now, after numerous interviews and a treasure trove of more than 70 boxes of archival materials recovered from her living quarters, journalist Meryl Gordon unlocks the mystery that was Huguette Clark. Huguette was born in 1906 in Paris, the daughter of Anna and William Andrews Clark. She was raised in her family’s 121-room Beaux Arts mansion, the largest private residence in Manhattan. During the 1870s, William Clark discovered rich copper veins in Butte, Mont., and his operations soon were producing 8 million pounds of copper each month. He scoffed at the pollution triggered by his mines and even claimed that women appreciated the arsenic in the air in Butte, since it gave their complexions a rosy color. 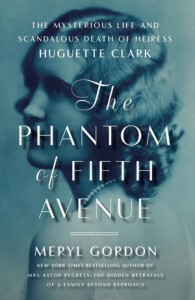 In 1925, Clark died of pneumonia, and 18-year-old Huguette inherited his fortune. One of Clark’s last words of advice to his daughter was not to trust anyone, since she would only be loved for her money. The heiress made her debut in 1926, and despite her father’s warning, married an accountant, but divorced him the following year. The last public photograph of Huguette was taken on her honeymoon. Huguette became eccentric and reclusive during the last half-century of her life. Even though she had several properties, including a 42-room apartment on New York’s Fifth Avenue, an oceanside estate in Santa Barbara, Calif., and a 22-room mansion in the woods of Connecticut, she checked into Beth Israel hospital in 1991, and remained there for the next two decades. When she died in 2011 at the age of 104, the scramble was on to claim a part of her $300 million estate.